Marlena has successfully facilitated over 118 Real Estate Transactions selling a total of $41,529,049.00 in Real Estate. Yes, that is over forty million dollars in Sales. With only five years of being involved in the Real Estate industry, her statistics, performance, and drive is knocking the competition out of the park. Marlena is currently at a production level of $26,537,274 in sales on listings and $14,991,775 in sales on the buyer side of the Transaction. If you could ask former clients to describe Marlena, they would say she is versatile, hardworking, and an ingenious asset to the world of Real Estate. Clients often comment that she has all aspects of the transaction thoroughly covered and always has a solution to problems that might pop up through the transaction. Where did Marlena’s passion for Real Estate start? Marlena was born and raised in Southern Anne Arundel County with strong ties to the Annapolis Area. Marlena’s leadership and entrepreneurial skills developed early on as she was the Class President as Southern High School and earned her Girl Scout Gold Award. Growing up, Marlena was also actively involved in horses and 4H. Marlena spend many summers boating on the Chesapeake Bay. She has a vast fondness and knowledge of waterways such as The Severn River, The Magothy River, The South River. The West River, Herring Bay, and the Annapolis Harbor. Marlena tremendously enjoys when she can share her extensive knowledge of the Chesapeake Bay with buyers and sellers when they are looking to buy or sell a waterfront property. There are many complexities to either buying or selling on the water, and Marlena strives to make sure that her clients are fully aware of the diverse aspects of a waterfront sale. Her goal is to create a hassle free transaction so that her clients can simply move in and move on to that beautiful waterfront view! Marlena also enjoys working with First Time Homebuyers. She believes that buying your first home is a HUGE undertaking that should not be treated as a small undertaking. She has assisted many First Time Homebuyers and has gone above and beyond to successfully find her clients great programs and grants. Marlena is not your typical Realtor; she will not stop until her client is fully satisfied. Marlena also has a vast experience in dealing with bank owned properties and short sales. Often challenging transactions, Marlena is always up for demanding work and challenging endeavors one needs to go through to make these transactions successful. Versatile is a word that is often used to describe Marlena. She is always up for a challenge and will give you 110% effort on every transaction she is involved in. She believes in personal communication and happy settlements. Buying or selling a home can be challenging enough- Marlena goes above and beyond to make sure that everyone has a big smile on their face at the settlement table! Whether you are looking for that exclusive waterfront property or looking to become a First Time Homebuyer, Marlena always puts her clients first. Her diverse background in Real Estate and strong ties to the Annapolis area make her an ideal candidate to be your Real Estate Professional. She is young enthusiastic professional that has the energy and the drive to make your Real Estate dreams come true! 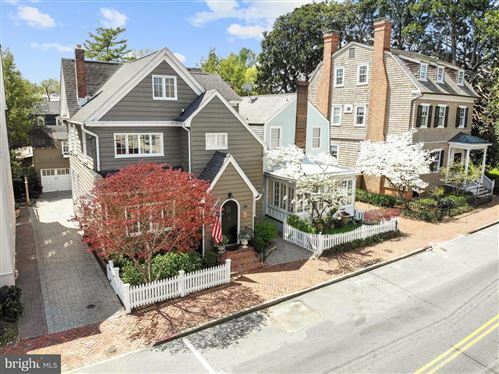 As specialists in the surrounding Annapolis area, established neighborhoods and its waterfront, Warren and Marlena constantly have their collective finger on the pulse of the Real Estate market. Warren and Marlena represent a unique combination of Real Estate expertise and can put their talents together to assist you in accomplishing your Real Estate goals. Warren and Marlena both provide personalized, thoughtful customer service, just like the way it used to be. When you couple Warren’s proven negotiation skills and 25 years of Real Estate experience with Marlena’s high energy and technological ability we can guarantee you the highest level of award winning service in the industry.